Last Phase Now Open for Sales Located in the heart of Austin, Montebello has just what you're looking for in a new home with the perfect combination of comfort, quality and style. This gated community set on over 49 acres near Lake Travis in Texas Hill Country and offers a diverse selection of residences for discerning homebuyers who desire beauty and convenience in an outstanding location with convenient access to two major highways and a toll road.New Home Features at Montebello Taylor Morrison, one of the most respected home builders in Austin, is pleased to share with you our gated neighborhood in the Lake Northwest area, with new homes priced from the low $400,000s. Floor plans such as the Madera and the Silverleaf offer more than 1,900 square feet and feature three bedrooms, two baths and two-car garages, all inside a lovely one-story home. 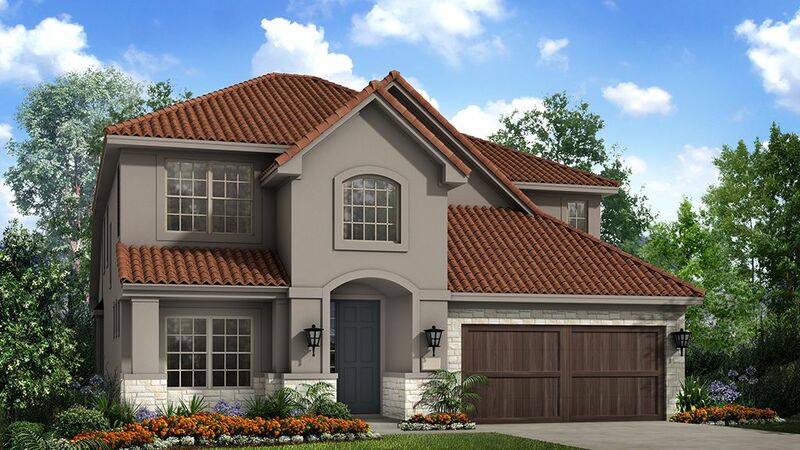 Montebello also offers floor plans like the Geneva, featuring nearly 3,000 spacious square feet with four bedrooms, 3.5 baths and a three-car garage in a gorgeous two-story home. In a private, gated boutique community with seven exceptional home designs to choose from, you're not only buying a new home, but securing the highly desirable lifestyle that's available at Montebello. New Homes Near Lake Travis Montebello offers luxury living with new homes in a great Austin location near Lake Travis and with several homesites overlooking the Balcones Canyonlands Preserve. Those who live at Montebello will have access to great outdoor activities and local entertainment venues for all ages. Montebello is less than 10 miles from Lake Austin and the popular water park, Beachside Billy's. Entertainment in Austin at Montebello Residents of Montebello know that location is key. Just 15 minutes from Downtown Austin, you'll find everything from live music to trendy shopping and delicious dining establishments nearby.